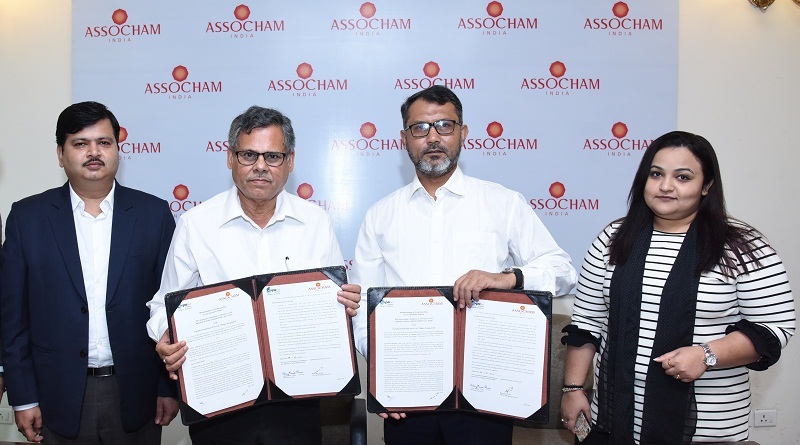 Mr. Uday Kumar Varma, Secretary General of ASSOCHAM and Mr. Rashedul Haque Managing Director, ExpoNet Exhibitions (Pvt) Ltd. had signed the MoU at ASSOCHAM Office, New Delhi. The MoU aims to create a cross border business relationship between ASSOCHAM Members and Bangladesh in the field of Sustainability, Green Building and Innovative Industrial Technologies. Mr. Neeraj Arora, Senior Director & Mr. Amit Kumar Sharma, Joint Director, ASSOCHAM and Ms. Sanjeevani Vyas, Dirextor of ExpoNet India were also present.